This DCP Girl is your ultimate resource for the Disney College Program. I am an alumni of the program, about to start my second internship with the Disney College Program. Keep exploring to find more about housing, applications, roles, and more. The Disney College Program is a paid internship with the Walt Disney Company. The internship is open to current college student and recent graduates (within the last 6 months), at any university or college. You can participate in the program in either Walt Disney World in Florida or Disneyland in California, although there are many more spots available in the Florida program. The program runs on semesters, you can apply during the fall to participate during spring or spring and summer, or apply during the spring to participate during fall or fall and summer. There are also partial season sessions for students who attend schools with quarter and trimester systems. This opportunity looks good on the resume of any college student with any degree, and increases the chances to be accepted for a professional internship with the company, as well as provides useful networking opportunities and teaching professional skills. During the program, students work 30+ hours in the Disney parks (in a variety of positions, see here), live with other interns in the program in company sponsored housing with rent automatically deducted from each paycheck, and earn credit at school through free courses offered by Disney, internship credits, and/or taking online classes during the internship. How can you get involved? Apply today! Applications aren't always open, but you can find out if they are and apply at disneycollegeprogram.com. You can find more about the program and application process by reading my site, following me on social media, and checking out the official site. There are four housing complexes available for DCP interns to choose from. 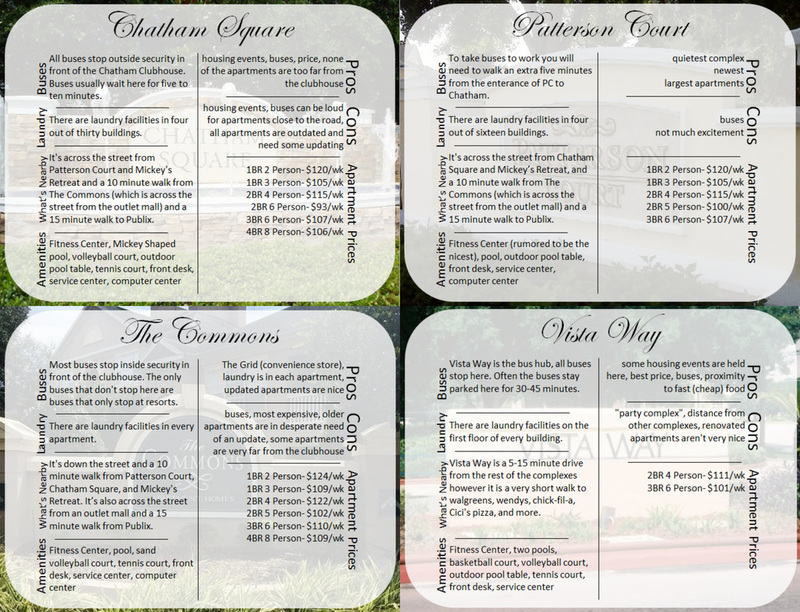 Each complex has a variety of apartments of different sizes and prices. There are twenty-two options for possible jobs, called Roles, you could be placed in as a College Programmer. 4 high demand roles, 4 high volume roles, and 14 other roles. There are three parts to the DCP application process: the application, web based interview, and phone interview. After each you'll go to the next step or into submission. Cast members receive complimentary tickets, as well as discounts on resorts, cruises, merch, food, and more. 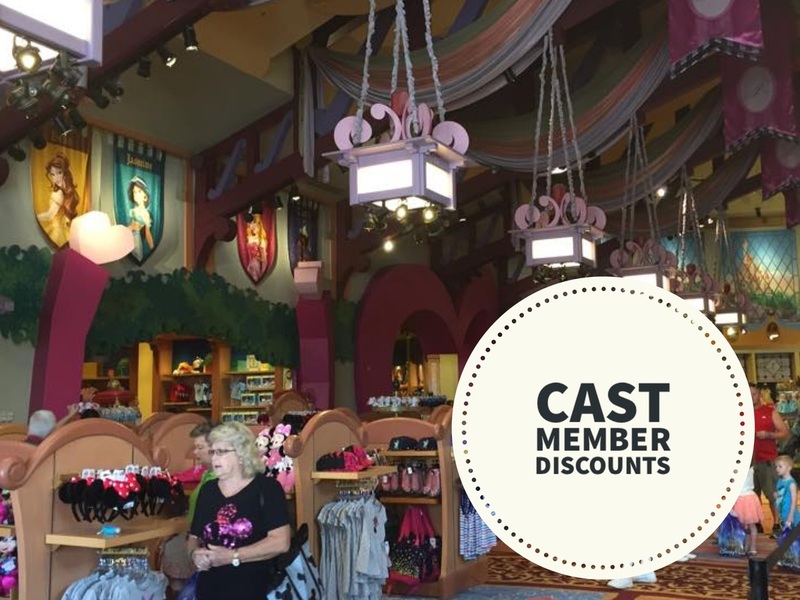 There are also special discounted stores available to cast members. 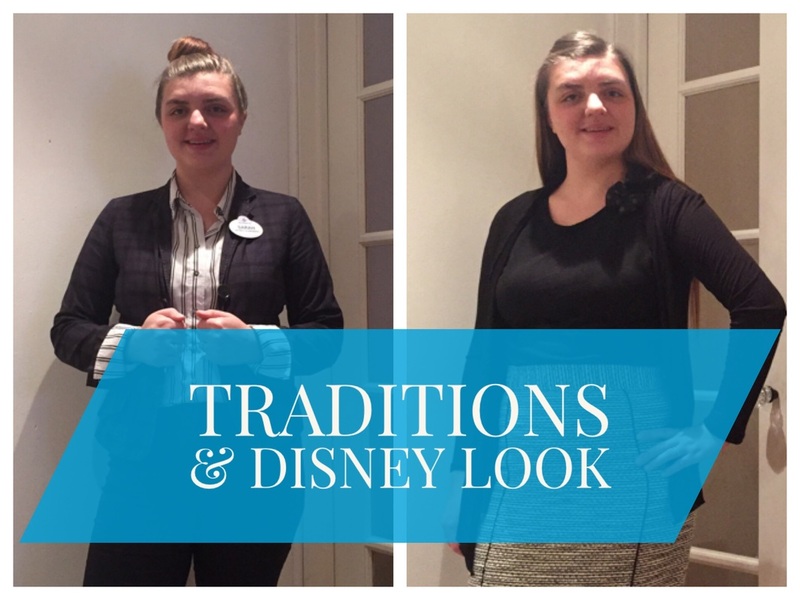 Disney has strict dress codes, and requires you to dress business casual for some training classes, as well as college program classes. Learn more here. There are many cool opportunities for Christians at Disney, including: Cru, Mosaic Church, First Baptist Orlando, and more. 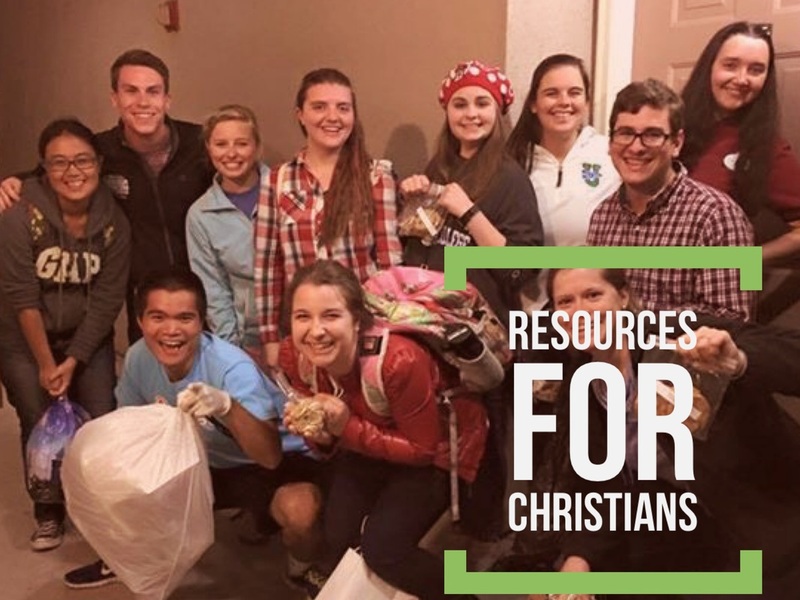 Cru offers pizza nights, bible studies, and more.